Josh Mabe led me behind his shop. “It’s a mess back here,” he said. What I saw was not your typical Home Depot fare: old railroad carts, wine barrels, deserted barn doors, discarded flooring from nineteenth century homes, planks from the bed of a semi-truck trailer – each piece had a common theme: it had been abandoned by somebody else. 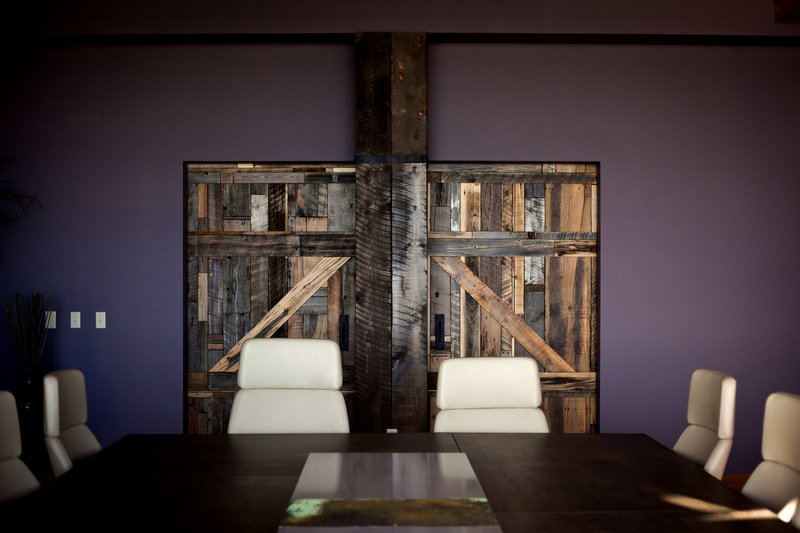 But for Mabe, each piece of discarded lumber is the object of his craft, an opportunity to bring life from decay. 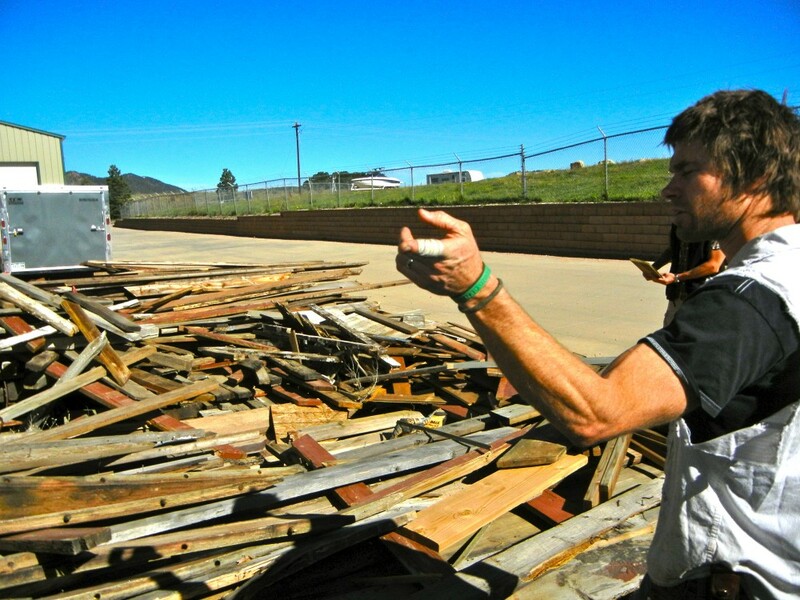 Josh is the owner of Twenty1Five, a small furniture business specializing in reclaimed wood located in Palmer Lake, Colorado, nestled at the foot of the Rocky Mountains. 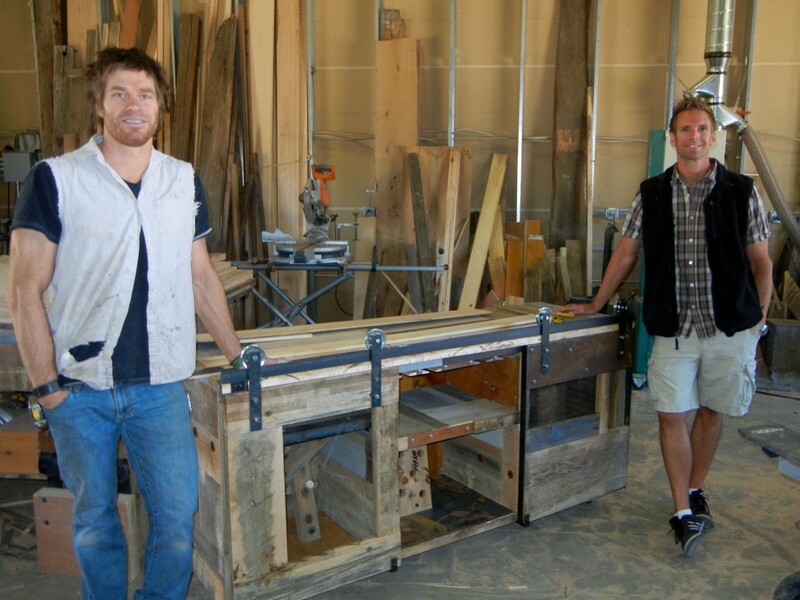 Josh, a carpenter and craftsmen, has attracted state-wide attention. 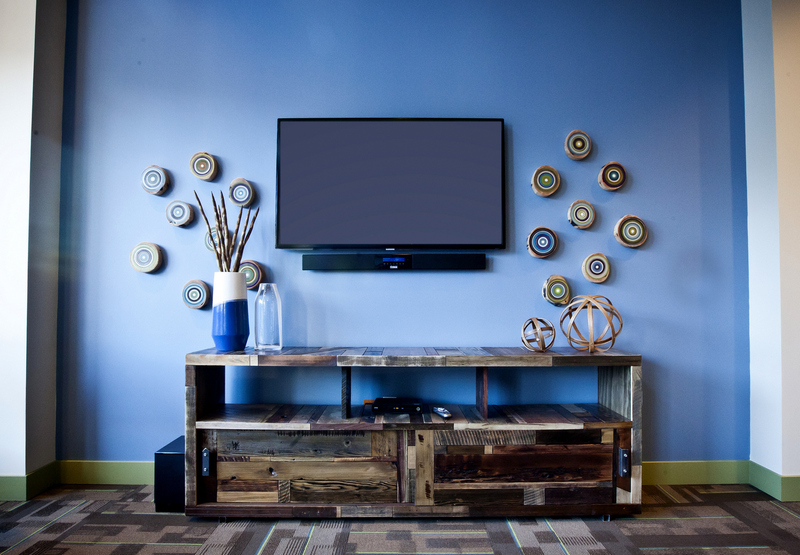 Rocky Mountain PBS, 5280, a Denver magazine, and Luxe magazine have praised his attention to sustainability and “upcycling” – creating new products from used materials. Yet it’s the products themselves that turn heads. His tables are a mosaic of shape, texture and color. 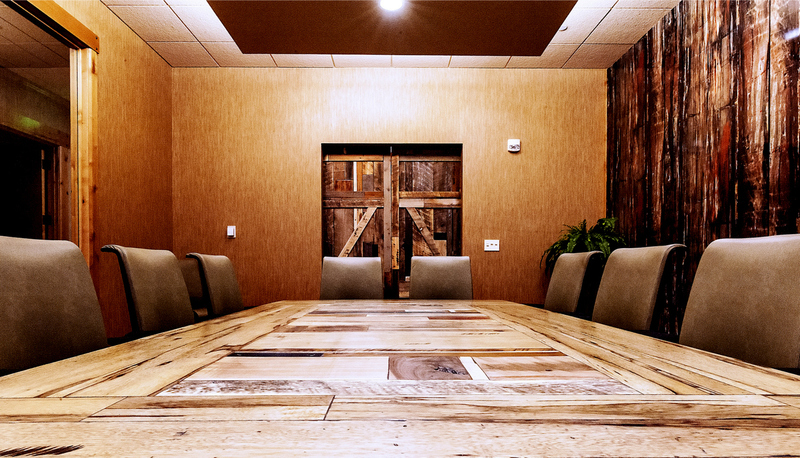 He can turn drab boardrooms into a collage of natural beauty, and sterile kitchens into a wild array of Mountain West history. Each cabinet, door, and coffee table is invested with slow, careful skill. “I’ve always enjoyed working with my hands,” Mabe recalls. After college he taught shop class for eleven years at a public school. A retiring co-worker would leave scrap wood behind the school and collected scraps from local contractors – “what people would consider ugly wood.” But Mabe, unable to part with the discarded lumber, took it home and built a table for his wife from the “reclaimed” wood. The table caught the attention of his neighbors, but initially nothing came of it. For financial reasons, Mabe took a job selling insurance. “But I was dying on the vine,” he told his wife, lamenting the confines of an office. “But that day,” Mabe recalls,” I distinctly remember God telling me, ‘Go, make tables. And in two weeks I’ll bring you orders.’” That Monday, he went to his shop and began to build. Orders came in. Word began to spread, and Twenty1Five was born. This process of restoration inspired the name Twenty1Five, which is from Revelation 21:5, where Jesus says: “Behold, I make all things news.” Their name peaks curiosity with both Christian and non-believing clients. Yet he tells the story faithfully just the same. And so far, sharing the gospel as he shares about his craft has not yet cost him any customers. Mabe travels to abandoned barns, weary homesteads, and to the forgotten corners of rural Colorado. 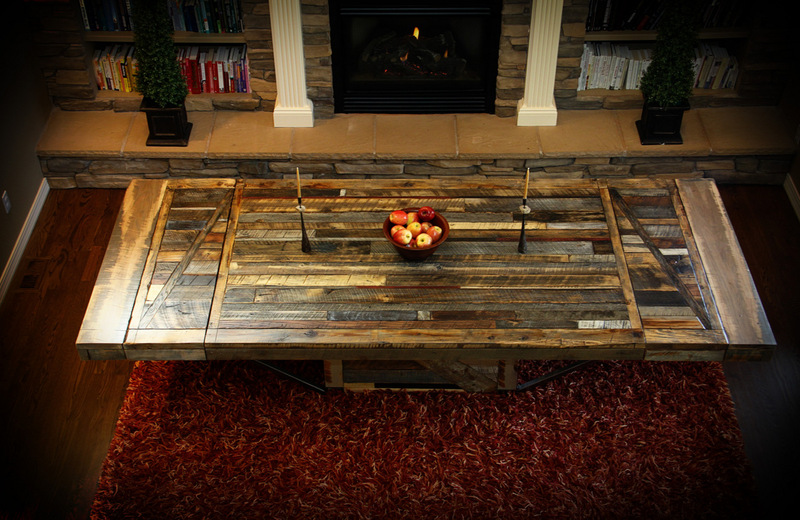 He works with customers to “source” each piece of discarded lumber, ultimately to be refashioned into a dining room table, door, or TV stand. 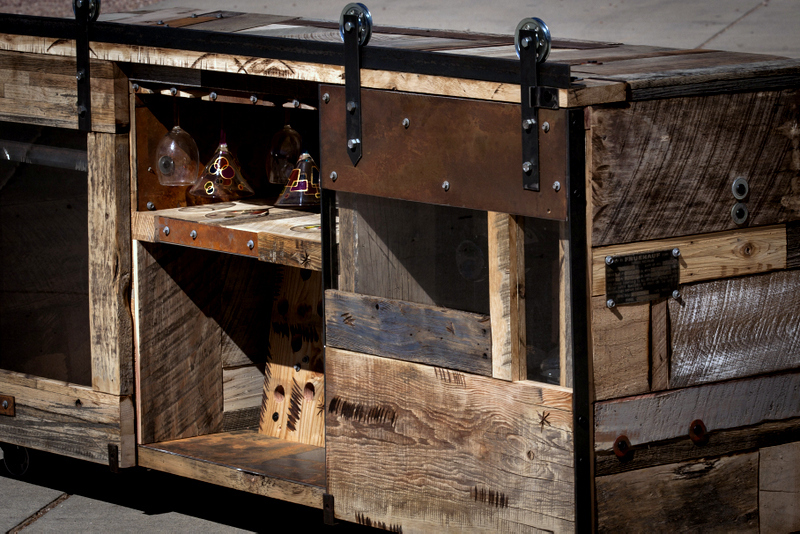 He offers custom booklets to customers that tell the knotted history of each piece of furniture he crafts in his shop – the lifespan of lumber that served, was forgotten, and finally renewed. And in so doing he shares a subtle tale of redemption – of buying back the useless, of uncovering hidden beauty. Yet Mabe’s story has not been without challenges. The first challenge was embracing a call to be a tradesmen in a culture that has abandoned shop class and “tech ed” in favor of a virtual world. Mabe had been a teacher in the Jefferson County Public School District, a district with less than three schools remaining that teach tech ed – and one with more than 80,000 students. As high schools prepare youth to be “knowledge workers,” they unload lathes, table saws, and other “vocational ed” equipment in favor of iPads, smart devices, and entrance into four-year liberal arts colleges. Yet even as educators emphasize preparing students for an “information economy,” employers are yearning for skilled tradesmen. In 2012, Manpower Group reported 53 percent of American skilled-trade workers were 45 years of age and older, and nearly 18.6 percent were between 55 and 64. As America’s plumbers, electricians, steelworkers, machinists and carpenters retire, America will need an additional 10 million skilled tradesmen by 2020. Even today, 83% of companies report a moderate to serious shortage in skilled laborers. But an economic demand for tradesmen doesn’t guarantee a smooth career path. Since our interview in October 2013, more knots have emerged in Mabe’s story. Last fall, his business partner, Randy Valentine, decided to move on. Randy did the marketing and business development, and Josh made the furniture. But now, as the sole owner of Twenty1Five, Josh had to renegotiate his dream. His wife went back to work full-time, and Josh now works part-time. He drives his kids to and from school each day, and fills orders as he’s able. But the knots in Mabe’s story have not dampened his dreams for Twenty1Five. “I still have big dreams,” says Mabe, “but I now hold them more lightly.” In his earlier days as an entrepreneur, the vision held a tighter grip on his heart. But now, with hands held open, he trusts God will provide and continue to lead the way in his vocational journey. Josh Mabe is speaking at the April 11 dinner event with Amy Sherman. To hear Josh’s story in person, you can register by clicking here.